Rumours of a ‘want’ button on Facebook have been confirmed with the social network announcing it is testing a feature that will allow users to declare their intention to buy products featured in pictures. 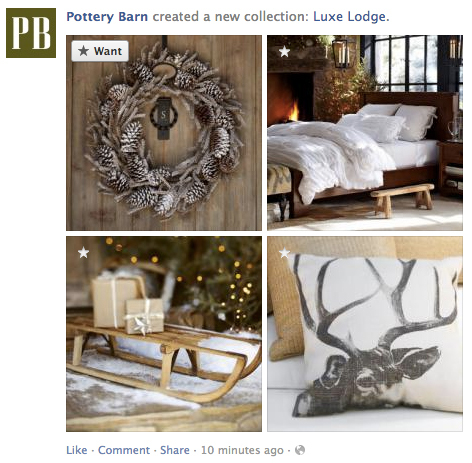 Facebook announced that it has joined forces with seven retailers – including Pottery Barn, Victoria Secret and Neiman Marcus – to test a platform which allows users to ‘want’, ‘collect’, or ‘like’ a product, according to Mashable. The button will be attached to images designed to be discovered in the news feed, which appear for non-followers of the brand when their friends like an image. Users will be able to click want to signify to their friends they would like to own the product and click through to buy the items via Facebook. 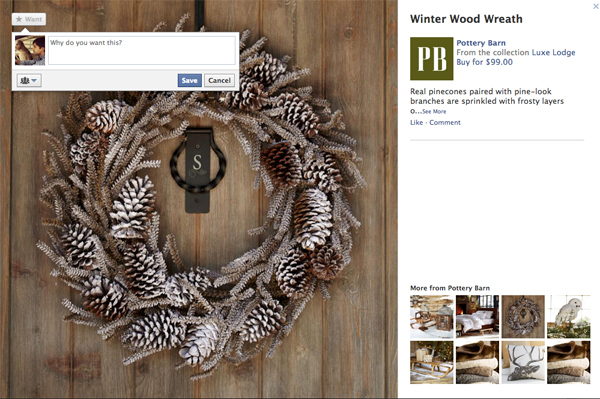 The feature, dubbed ‘Collections’, has a Pinterest-style look with images displaying individually or in groups. It appears that for grouped images the want button will hover over the corner of each image, while for individual images it will appear underneath. 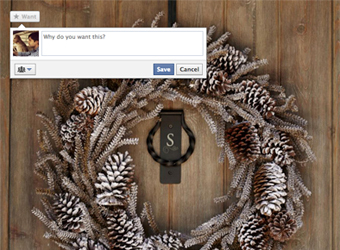 After clicking ‘want’, users will be given the option to comment on what they like about the product. Presumably a move to encourage more brands to invest on the network since its IPO, the initiative could see so-called ‘F-Commerce’, which is yet to gain traction, kick into gear. No word on when the feature will go public has been released.